01- Is Original Video a franchise? 02- Why do I save with Original Video? 03- How can Original Video complement my business? 04- Do I need a membership card to access my account? 05- How do customers become members? 06- Can I have a machine in my DVD rental store? No. Original Video offers all the benefits of a franchise without charging any franchise fee’s or royalties. With Original Video you receive full guidance and business support through the form of a dedicated account manager who will assist you at no extra cost. Dealing directly with manufacturers’ means you cut out the middleman. This allows us to provide the most competitive prices for our machines and replacement parts. 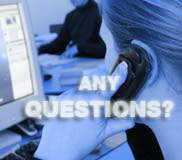 This also enables the customer to receive a much quicker delivery and better technical support. Membership cards, DVD cases, barcodes, protective inlays and membership forms are manufactured in-house allowing us to offer the most cost effective prices on the market. Arrangements with UK and Irish wholesalers allow us to supply all Original Video clients with DVD stock at 30-45% discount. As the only machine on the market offering a fully interactive keyboard, people are able to become a member at the machine 24 hours a day, eliminating staff costs. -	2.3 million DVD’s are rented each week in the UK alone. -	70% of shoppers indicate the importance of DVD rental being offered by their local store. -	65% of shoppers always purchase additional products when renting a DVD, increasing further spending in-store. Our DVD rental machines are proven traffic builders as they attract people to a store twice; once to rent a film and once to return it. No. Our interactive keyboards allow users to access their account without their membership card by using their user name and password. When returning the titles you simply scan the barcode and slide it into the returns box. Original Video provides the only machines that are capable of registering members 24/7. Our interactive keyboards allow you fill out your personal details directly at the machine. Customers are also given the option of renting on a pay-as-you-go basis where they simply insert their credit/debit card, rent a movie and a charged direct to their card upon returning the DVD. Yes, Original Video machines are proven to be the ideal addition to a traditional DVD store. Members will have the choice of renting and returning titles 24/7, allowing you to generate business even when the store is closed. Every machine comes equipped with an Original Video administrative programme. Our software programme synchronises the intelligence needed to manage a conventional video store with our automated DVD rental machine. The DVD rental machine will utilise space, allowing you to showcase more films and to sell further secondary products such as food and drink.